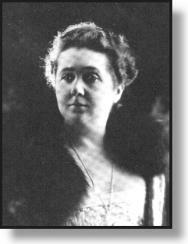 And shall I live on th’earth to be her thrall? Thy sweet beloved name no more shall dwell. Thou shalt not hear by word or writing aught. As for the rest, I leave it to thy thought. Can it be that the poetry Oxford wrote during his youth is the missing early work – the all-important apprenticeship – of the young Shakespeare? 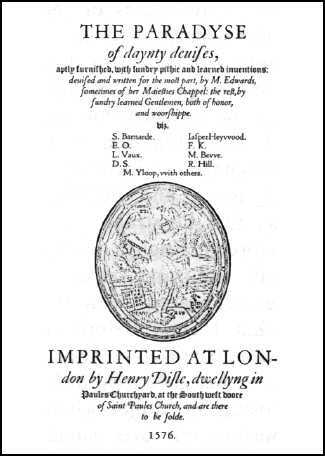 If we went looking for evidence of Shakespeare’s early poetry, the verses attributed to de Vere when he was young are exactly what we should expect to find. 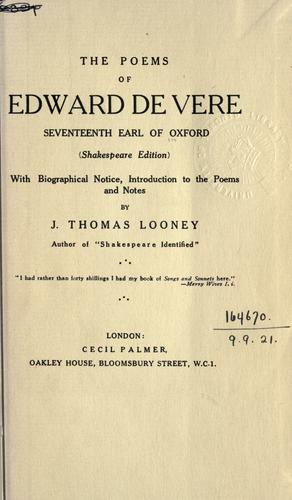 The other side of that coin seems true as well: that the more mature poems and sonnets attributed to “Shakespeare” are exactly what we should expect to find from the pen of the older, more experienced de Vere; and that, of course, leads to the conclusion that, in fact, Oxford’s mature poetry was published under the “Shakespeare” pen name. 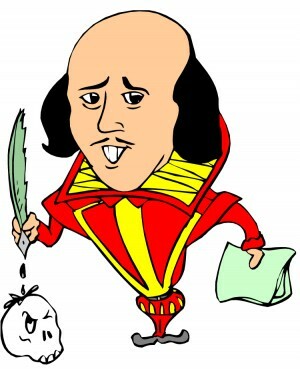 Note: This blog post is now number 21 in 100 Reasons Shake-speare was the Earl of Oxford. 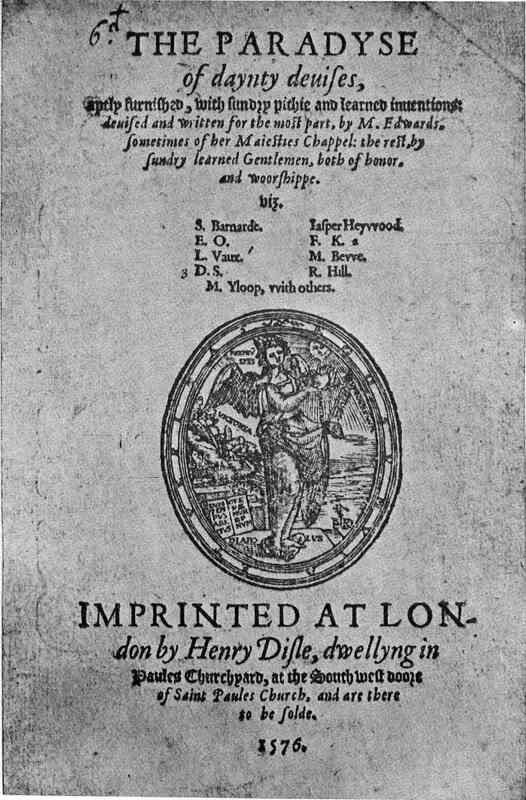 “Now comes Henry Peacham, confirming all that has been said by others,” Benezet writes, noting the date of 1622, when the likes of George Chapman and Ben Jonson were “yet living, and so well knowne,” while William Shakspere of Stratford had been dead for six years and, by all rights, should have been on the list – unless, of course, the real “Shakespeare” was in fact heading the list under his real name, Edward de Vere, who had died in 1604. Back in the mid-1590’s, as a seventeen-year-old Cambridge graduate, Peacham had created a sketch apparently depicting the rehearsal or performance of a scene from Titus Andronicus,which was first published anonymously in a 1594 quarto. 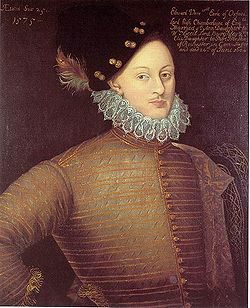 Given that four years later Francis Meres in Palladis Tamia of 1598 listed Titus as one of Shakespeare’s tragedies on the public stage, we can be sure, if Henry Peacham had thought “Shakespeare” and “Edward de Vere” were separate individuals, he would have included both names on his list of the greatest no-longer-living authors of Elizabeth’s time. 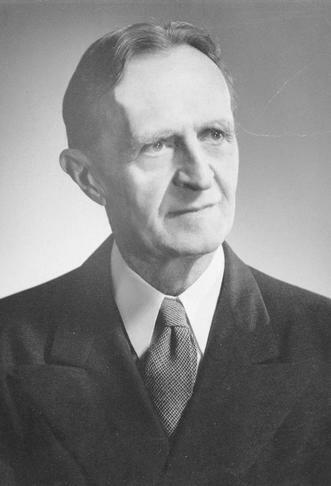 Instead he knew the two names designated one and the same man.